John W. Salmon - Mediator & Arbitrator based in Miami, Florida. Please click your preferred available date to submit a request. Your Appointment Form will be sent to John's assistant, Martha Belbusti. John W. Salmon, Esq. is a natural mediator wth a broad-based educational, legal and business background. He is a graduate of Penn State University "with Distinction", the University of Florida College of Law and holds a Masters in Business Administration from Florida International University where he was an adjunct faculty member in the College of Business for over 15 years. He has also served as an Adjunct Professor at the FIU College of Law teaching Alternative Dispute Resolution. 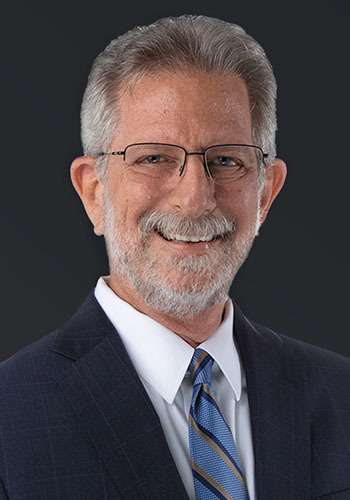 John is a Distinguished Fellow of the American College of Civil Trial Mediators and Diplomate and past President of The Florida Academy of Professional Mediators. He has served as Chair of the Alternative Dispute Committee of the Trial Lawyers Section of The Florida Bar and as Chair of the Florida Bar Grievance Mediation Committee. In addition to having mediated nearly 7,000 cases, John is a frequent lecturer on "Appropriate Dispute Resolution", often incorporating martial arts and mediation techniques into his presentations. He is a Nidan, Second Degree Black Belt - with the Cuong Nhu Martial Arts Association. Outstanding Business Partnership Volunteer at Embassy Creek Elementary School for mentoring a fifth grade mediation program. Please call 305-371-5490 for rates and scheduling.